ARLIER this year, David Bentley Hart published an article in The Tablet (London) that alerted me to a new translation of the New Testament he had published late last year.1 Hart’s NT, however, is not simply another translation to add to the pile. In translating the New Testament, Hart set out to render the original text quite literally, even when doing so would produce a rough or surprising result. This was the task put to him by an editor at Yale University Press. 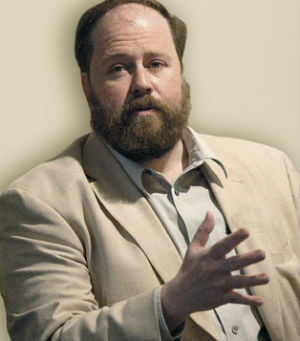 An Eastern Orthodox theologian, philosopher, and cultural commentator, Hart is presently a fellow at the Notre Dame Institute for Advanced Study in South Bend. He is the author of many articles and several books, including The Beauty of the Infinite: The Aesthetics of Christian Truth and The Experience of God: Being, Consciousness, Bliss. Hart is not idealistic about what he set out to achieve in his NT translation. As he writes in his piece for The Tablet, “I acknowledge, of course, that the translation of words on a page can never be free of some interpretation of their contents.” Nevertheless, he asserts strongly that there is something to be gained by allowing the “historical and cultural remoteness” of an ancient text to remain, rather than trying to smooth such distance out through the translation process. All of them seem to me to be shaped not only by too many inherited habits of theological thought and usage, but by the curious assumptions that the distinctive idioms and conceptual vocabularies of Jewish, Christian, and Pagan antiquity constitute nothing more than different ways of expressing intuitions and ideas that we today merely express in different (but “dynamically equivalent”) ways. N NO WAY am I advocating that Hart’s translation should be considered for liturgical use. On the contrary, it is clear to me that his translation would not at all suffice for liturgical purposes. But this is not to say that his work has no value. I believe his version of the NT is worth having on hand as an aid to both prayer and study, especially for those without facility in Greek. It succeeds admirably in shaking out of complacency those who know the Scriptures well, challenging them to hear again these texts, in all their strangeness and urgency. Hart’s New Testament is available from Amazon, where one can also read positive reviews of the work from such figures as Donald Senior, CP, Rowan Williams, Robert Louis Wilken, Paul Mankowski (First Things), and Jennifer Kurdyla (America). 1 David Bentley Hart, “The Word made fresh,” The Tablet 272, no. 9233 (13 January 2018): 11-13. For his translation, see David Bentley Hart, The New Testament: A Translation (New Haven, CT: Yale University Press, 2017).